The agave plant is not a cactus, though both cactus and agave are classified as succulents, or "plants that have highly specialized anatomical features such as thick waxy cuticles, fleshy or minimal leaves, modified leaves (spines), and roots with extra storage capabilities for food and water," according to the University of Arizona Cooperative Extension Service. The majority of the hundreds of species of agave plant are monocarpic, meaning that they flower one time during their life, then die. 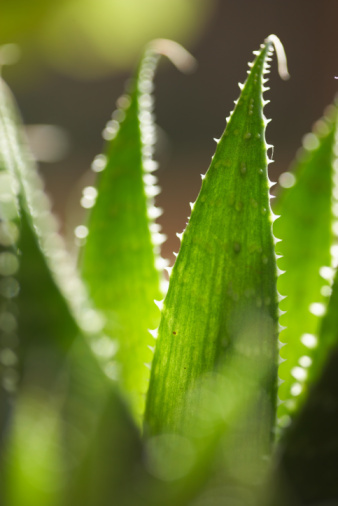 This includes species like the well-known century plant, Agave Americana, which may live as long as 30 years or more -- but never a whole century -- before flowering. Dependent on the species, the majority of cacti flower on a regular basis. Another significant difference between an agave and the cactus are leaves -- the agave possesses leaves and the cactus does not. 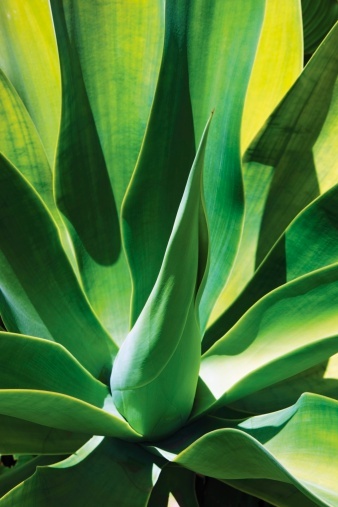 Many agave leaves -- again, dependent on the species -- are edible, provided they are cooked. However, Native Americans in years past often used extracts from the uncooked agave leaf to poison the tips of their arrows.